On Thursday, you will expect the natural development of some of your problems or troubles, as you will find that this is the right decision on your part. 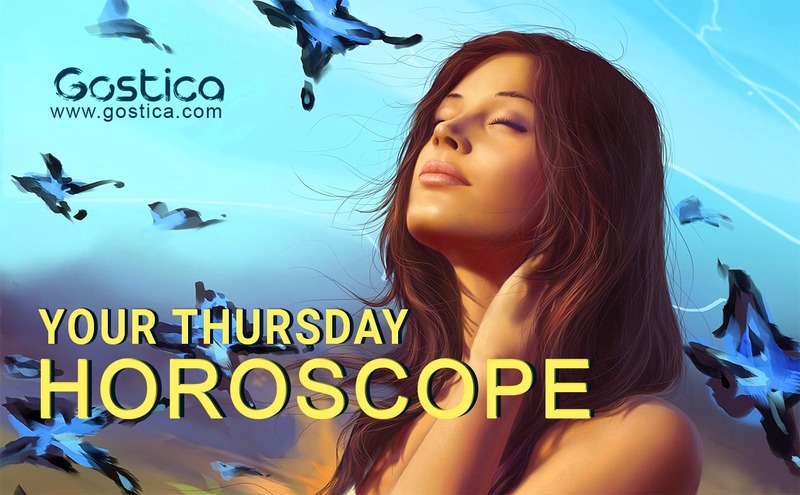 Today you will have a good day for love and romantic experiences, conceiving or giving birth to a child, etc. On Thursday, there may be an unexpected opportunity to re-develop your old plans or ideas that have so far depended on other people’s actions and decisions. Today you may be saddened by unpleasant news related to someone you know. If you were born under the sign of Aries, Leo or Sagittarius, today you will have important plans and tasks for realization that you should not postpone. Prepare for their successful implementation. Whatever changes you make today, they will be in order to save you from future problems or troubles. Thursday portends strong emotions and feelings, mostly in your personal life. If you were born under the sign of Taurus, Virgo or Capricorn, today you will have commitments related to home repairs and improvements, meeting guests or others. Expect interesting news from another location. The day implies engagements related to your relatives or friends who live near you. If you were born under the sign of Gemini, Libra or Aquarius, today you will engage again with your old ideas or plans. Now there will be new opportunities for their realization. On a professional level, you will make progress or enjoy news or a suggestion. If you were born under the sign of Cancer, Scorpio or Pisces, on Thursday avoid being burdened with memories of past experiences in your life. The day will be conducive to actions and work related to financial documents. An event related to your relative or friend will provoke more phone calls or meetings with other friends or relatives. You have taken too many things for granted lately and have not been able to understand what has happened in your personal relationship. You should think about it as soon as possible to make things right. Keep away from distractions until you understand how to behave and better manage your romantic or social relationships. Open your heart. Someone special to you may need your word. One simple gesture is all it takes to solve things. You don’t need to do anything striking. Just be there at the right time. You’ll have more to do today, so better organize yourself. You will be able to understand many things if you observe the people around you today carefully, without asking too many indiscreet questions. You will have the information you’ve been longing for. As far as your work is concerned, it will be better to give more impetus to certain aspects by making some of your colleagues responsible for nothing. Recover your strength. You must strive to find moments for yourself, avoiding the accumulation of stress. You’ve been very busy and it’s just right to reward yourself. There’s nothing wrong with enjoying a moment of serenity alone or in the company of someone who knows how to make you relax. At the beginning of the day, you will find some obstacles that will prevent you from completing a project. You have not done anything wrong. Some things happen and you have to accept the consequences. You will find more serenity in the afternoon. Everything you’ve been working on lately has paid off. It’s time to move on to something else and not to brood too much over what has been. You’ve been lavishly rewarded, so you’re ready for another challenge. You have been successful. If you work as you have worked lately, you will have no problem with that. They’ve switched the signs. They also always have the Pisces sign in front of the Gemini horoscope.